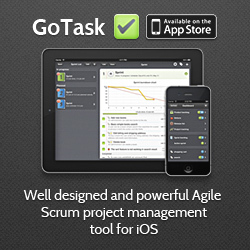 This project uses features only available in iOS SDK 5.0 and later. In extended class you need to implement all of the UIPopoverBackgroundView class methods and properties (definitions from Apple docs are self explanatory). arrowHeight – the height of the arrow (measured in points) from its base to its tip. arrowBase – the width of the arrow triangle at its base. 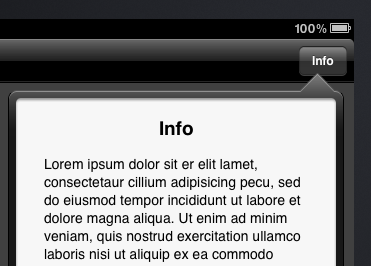 contentViewInsets - the insets for the content portion of the popover. They are initialized in initWithFrame: method. Additionally, in my class implementation file I made private interface with 4 UIImage iVars. 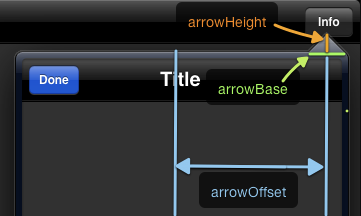 One of images is going to be set as arrowImageView.image later in layoutSubviews method, when I calculate other frames using arrowDirection property. UIImage iVars are initialized in initWithFrame: method with appropriate images. The most important part of subclass is layoutSubviews method. It layouts arrow and background images according to popover size (self.bounds.size), arrow position (arrowOffset) and arrow direction (arrowDirection). Also popover arrow image is changed here for appropriate direction. You can download xcode project from GitHub: https://github.com/Scianski/KSCustomUIPopover. For this example I made images in Photoshop. UICustomPopover.psd is free for commercial or personal use. More detailed and up to date information can be found at apple docs. If you find any mistakes or have interesting ideas please give me a note. Thanks for reading, hope its helpful. Thanks, this saved my day! Nice job – thank you! This is great, thanks. I’ve found other various implementations of the same thing, but yours was the only one that really fit my needs. Very helpful, thanks. Apple documentation seems a bit lacking on this topic and your example put it all together for me. Thanks!! Great way to explain this. Thanks for sharing! Great post and example project. Thanks. Wow This is great example about UIPopoverBackgroundView class. I’m crying with joy. Thank you so much! Using your solutions I could easly rebuild all my popovers – so now, even on IOS7 the look like in IOS6 style, which is nicer. THANKS !!!!!! !